In case you are interested to learn more about Dr. Leanne Hadley, the primary faculty for the February 2015 Academy, we have taken a short biography from the 1ststeps.net ministry website. As a sidenote, you may be interested to know about the Prayground. This is an online tool to help people of all ages pray. It combines ancient prayer practices with current technology to great effect for children and adults alike. Take a will you take a moment and "pray around"? Rev. Dr. Leanne Ciampa Hadley is an Ordained Elder in the United Methodist Church and a specialist in the area of Children's Spirituality. She is President and Founder of First Steps Spirituality Center. In December 2007, she received her Doctor of Ministry in the area of spirituality and children and teens from United Theological Seminary in Dayton, Ohio. Through listening to and learning from children and teens over the course of 25 years, Rev. 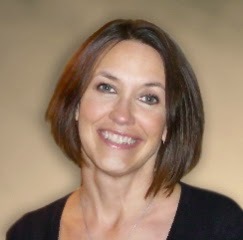 Leanne Hadley has developed amazingly effective healing methods that set First Steps apart. Her hands-on approach and one-on-one time with children make her ministry one that is "hands-on" rather than just a "study of."